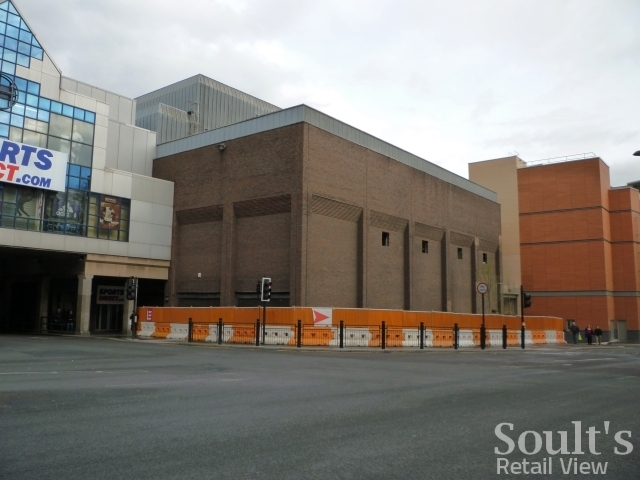 Work has been underway on Newcastle’s former Arcadia site for the best part of a year, as the space is transformed into a 55,000 sq ft Next store. Like the old Topshop store that it replaces, Next will have a ground-floor street frontage to Blackett Street as well as a first-floor mall entrance to Eldon Square. 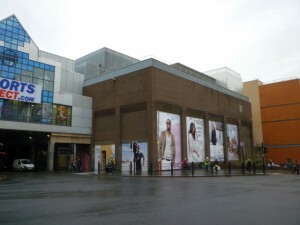 The development’s completion is now close, as hoardings around the store reveal an April opening date. As well as the core Next and Next Home offers, the banners confirm that the store will also stock the Next Sport and Lipsy ranges. Since January last year, I’ve been recording the building’s transformation in photographs, starting with a shot (below) just before Arcadia’s brands relocated to the Eldon Square extension at St Andrew’s Way. 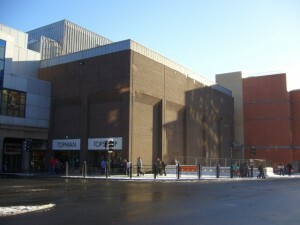 By May (below), the Topshop signage had gone and some holes had appeared in the Newgate Street frontage, but most of the work was evidently going on inside. However, the most recent views from January (below) and February this year (top) clearly show the addition of the new structure on top of the existing flat roof, which will provide extra floorspace for Next. The large blank frontage to Newgate Street has also been nibbled away to accommodate four double-height windows – but, as far as I understand, no doors – while the existing openings to Blackett Street have also been enlarged. Reducing the amount of blank brick wall is surely an improvement, and will undoubtedly enhance the building’s appearance. However, given the store’s prominent corner location, I am a little disappointed that the opportunity for a more radical redevelopment has been missed. 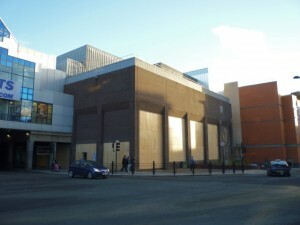 Indeed, it’s a particular pity that the street entrance is set to remain around the corner in Blackett Street, instead of a bolder and more imposing entrance being created on the Newgate Street side. 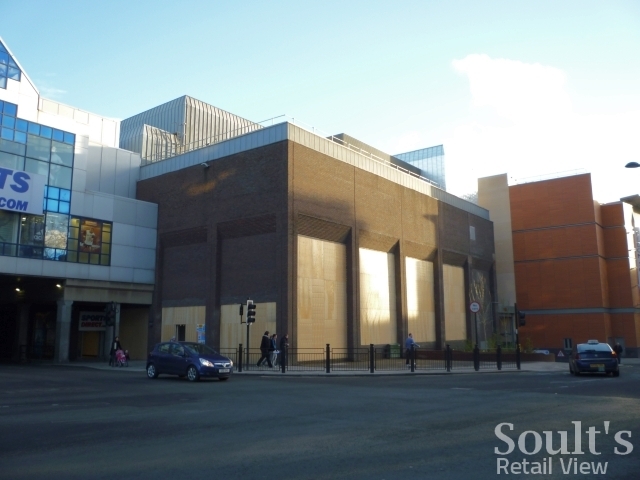 As I’ve made clear before, attracting Next to open one of its largest UK stores can only be a positive thing for Eldon Square and for Newcastle’s status as a top retail destination. 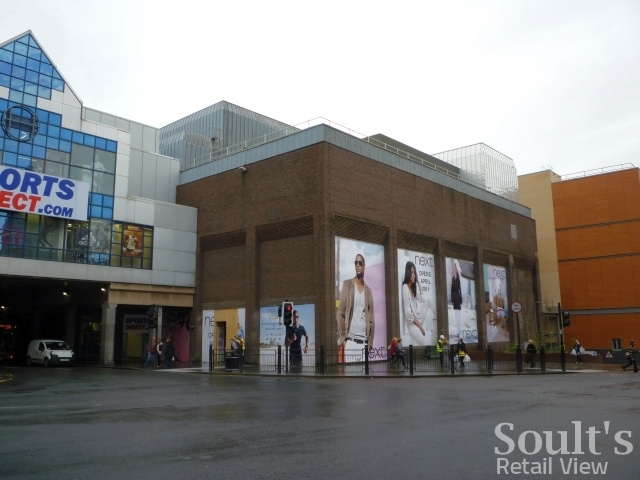 As it is, however, the new store’s design means that it is likely to have a very positive effect on footfall on the mall side, but a fairly limited impact as far as enlivening the street is concerned. Compared, for example, to how Bristol’s Cabot Circus has both fostered street-level activity and improved the appearance of existing buildings incorporated within the scheme, I can’t help feeling that something more creative could have been attempted here too. Next opening nowpushed back into may i believe . Yes, I believe you’re right! Not sure if that will have a knock-on effect on BHS’s planned October opening in the vacated Next.